The church that became University had its start in the roaring 20’s. 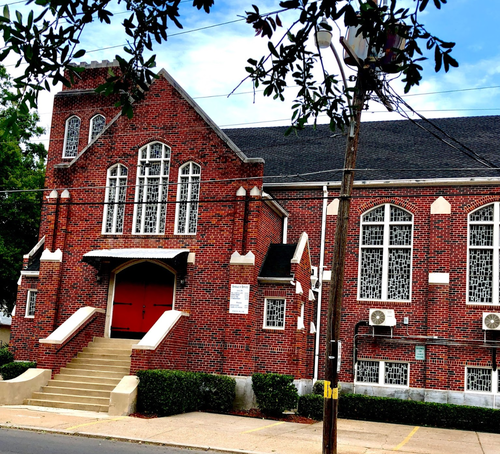 It first met in a small frame building, known as “the tabernacle,” at the corner of Creswell and Kirby Place and had its first worship service on February 14, 1927. The church grew to seventy faithful members during the next ten years. In 1937 construction began on a new building, and on the afternoon of September 5th, the dedication of the Creswell Church of Christ was held. R. D. Underwood, Oliver Cunningham, and Gussie Lambert were some of Creswell’s earliest ministers. The Creswell Church of Christ was a Kingdom-minded church. It helped start and support several area congregations. Because of members driving from Bossier City for services every week, Creswell decided to build a church in Bossier that became the Bennett Street Church of Christ. Creswell also started the Southern Avenue, Perrin Street, Southern Hills, and Sunset Acres churches of Christ in Shreveport. 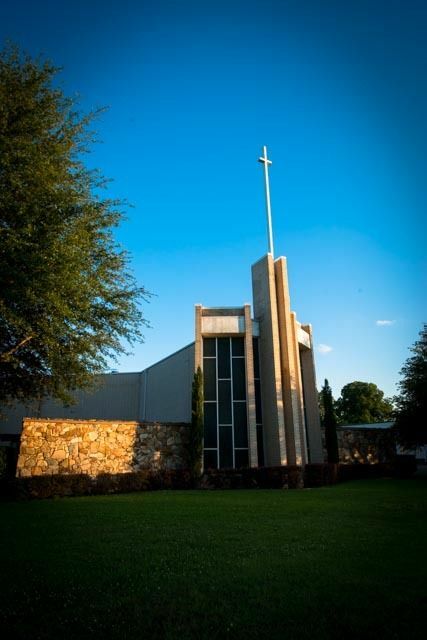 Sunset Acres is now the Sunset Church of Christ which meets on Meriwether Rd. In 1962 Creswell began holding an early service on Sundays, which was broadcast on KTBS (Channel 3). Gussie Lambert preached during this telecast called, The Living Way. In 1964 Doyle Maynard became Creswell’s full time minister. In May of 1974 Creswell inaugurated a JOY bus ministry with nine JOY buses running four routes, and then in November proposed a new 27,800 square foot building to be located on East 70th Street. The auditorium would seat 832 and be expandable to 1,800 with costs estimated at $850,000. The name originally proposed was the Southside Church of Christ. On November 2, 1975, the first worship service was held at University (not Southside), and a weekly children’s TV program called Jolly Bible Time was begun by one of University’s ministers, Al Jolly. 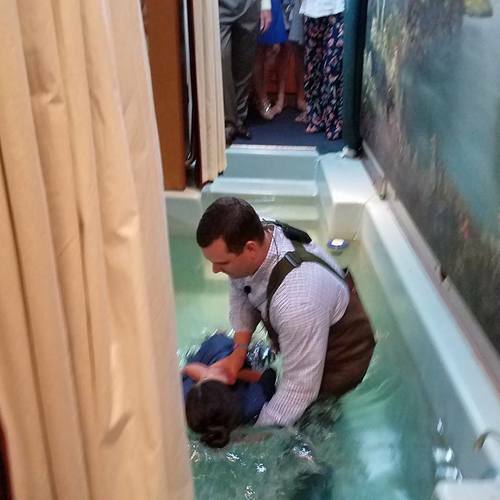 102 people were baptized over the next two years and contributions increased. In January of 1978 University also began operation of a Bible Hotline. However, 1978 also proved to be a year of transition and challenge for University. Just three years after it began, University suffered a devastating split. After peaking with attendance figures of 500+, a large number of members departed to start what would become Church of Christ/North. Attendance dropped to less than 150. By 1979 attendance recovered to over 200. Although the late 70’s were painful times for University, they were also years that ultimately made the church family stronger. In December of 1994, Jerry Hodge joined the staff at University as the pulpit minister and by 1999, attendance returned to more than 400. In October of 2000 a multi-purpose building called the Family Center was completed and University celebrated its 25th anniversary at the present location. Currently, University has grown to an average attendance of 500 led by six elders and served by four full time ministers, fifteen deacons, and numerous ministry leaders. Today we owe so much to those who had the vision to build on East 70th; the committed who sacrificed and gave to the work because they had first given themselves to the One who is faithful. We now stand on their shoulders to reach new and greater heights, to love and save the lost in the Shreveport/Bossier City communities, and help those being saved to become more like Jesus Christ. Join us every Sunday as we gather to worship together at 8:30 am and 10:30 am.